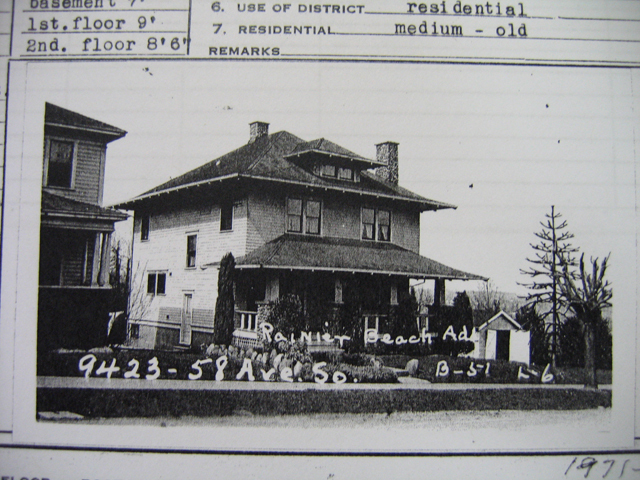 The house at 9423 58th Avenue S is a single-family dwelling. 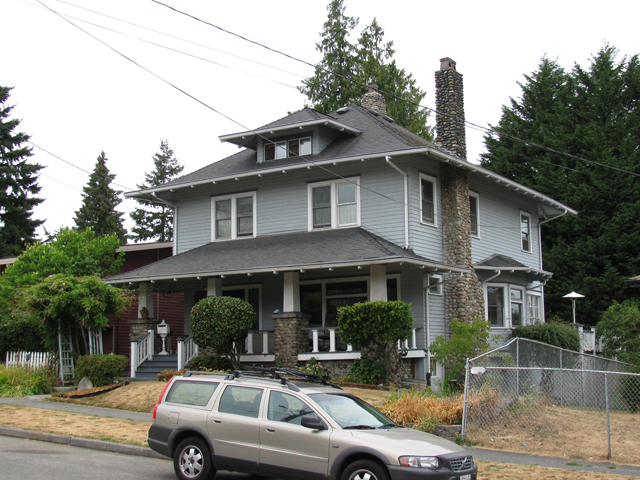 The house at 9423 58th Avenue S is located in South Seattle. It is on the west side of the street and faces east. 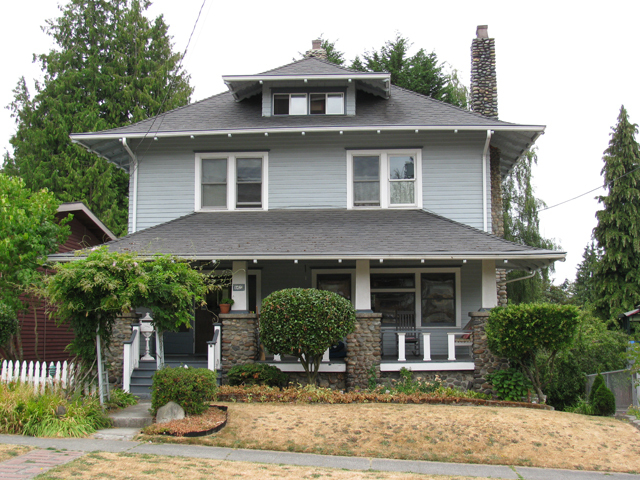 The structure was built in 1912 (according to the county assessor) in the American Foursquare style. The house has an L-shaped plan and stands on a stone foundation. 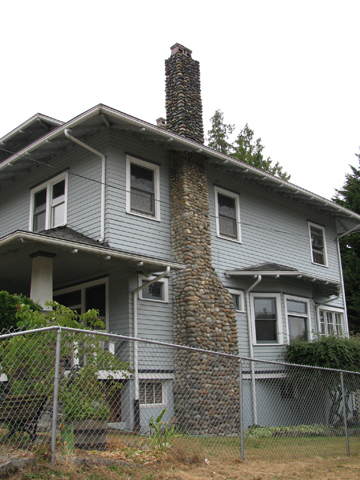 The 2-story platform frame building has a hip roof clad in asphalt composition shingles. The wall cladding is wood. There appear to be slight alterations to the original plan. There is no discernable alteration to the original cladding. There appear to be moderate alterations to the original windows. 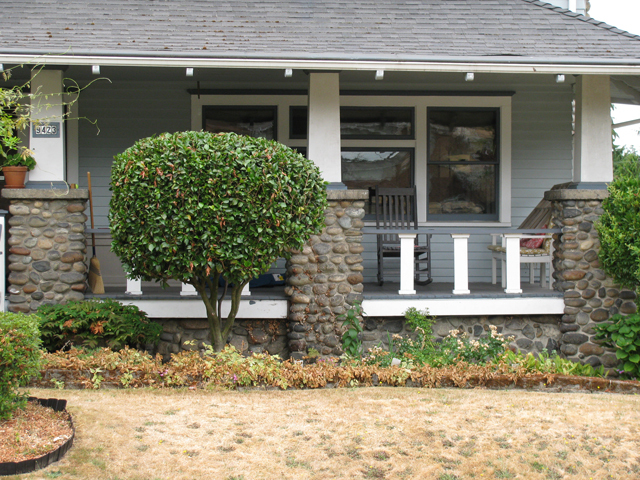 There are changes to the chimney and porch. 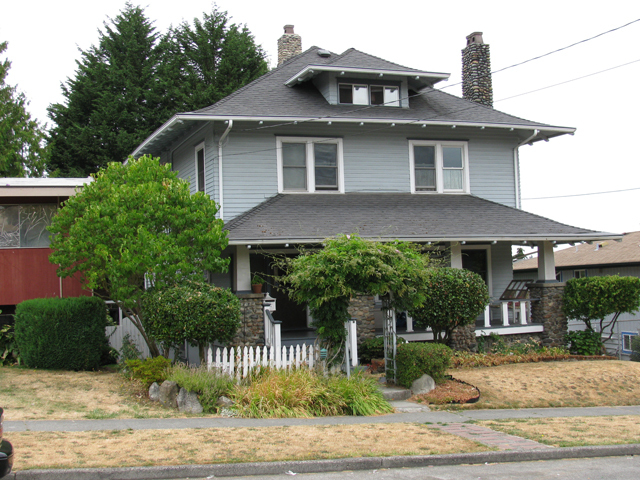 Shaping Seattle Architecture: A Historical Guide to the Architects. Jeffrey Karl Ochsner, ed. Seattle: University of Washington Press, 1994. Dorpat, Paul, “101 The Railroad Avenue Elevated,” Seattle, Now and Then, Seattle: Tartu Publications, 1984. Bagley, Clarence B. History of Seattle, Washington. Chicago: S.J. Clarke, 1916. Berner, Richard. Seattle 1921-1940: From Boom to Bust. Seattle: Charles Press, 1992.